Core Passion has a system for moving MAGNETIC energy into profits. . . In our Core Passion profitable energy system, you will learn there are three powerful energy points for creating success. Each point is essential for your success as you work through the Passion Vision Action™ System. It’s very important to have a clear VISION of WHAT you want. It’s so much easier to get somewhere when you know where you are going. ACTION is HOW you’re going to get to your vision. Inspired, planned actions and activities that focus on your Vision will create the movements necessary for your success to happen. PASSION is WHO you are. Passion is an energy source. Passion is the most powerful fuel source for success. Passion is the human energy that powers business energy. Passion moves things to happen – passion creates profit. In this program, we will share with you how consciously using this energy source of passion can create profits in your life and magnetize the customers you want to work with. Remember – When you know WHO you are, you know WHAT to do. So let’s get started with the first energy point – PASSION. The foundation for The Passion of MAGNETIC Sales & Marketing is building relationships. First, you must build a relationship with yourself – knowing who you are. From there, you build a relationship with your customer and your company. Passion is the magnetic energy that creates profits. You are selling everyday all of the time. You may be communicating with a customer, a co-worker, a vendor, or a family member. You’re communicating to influence, promote, or persuade someone about a product, a service or an idea. Communicating with magnetic energy happens when you know who you are. Knowing who you are inspires you to be authentic and magnetic. To develop your knowledge and skills, we’ve divided each module into 3 sections. The first section is KNOWLEDGE – what you need to know about that module. The second section is MAGNETIC SKILLS – what you need to develop to become magnetic. The third section is PASSION IN ACTION – how to apply the knowledge and skills to sales and marketing. In this program, you will EXPLORE – who you are, who your customer is, and what your company is promising. You will MEASURE -what drives you, what you know about your customer and what drives them, and the brand promise of your company. And then you can PURSUE – the knowledge and skills of becoming authentic and magnetic. This all starts with knowing who you are! You will learn the secrets of passion, profits, and magnetic energy and how to use it in your sales and marketing. Profit is one of the most desired outcomes. All business success starts with sales and marketing. All businesses need to have their products and services represented by trained experts that carry the message of the company with passion, pride and support. 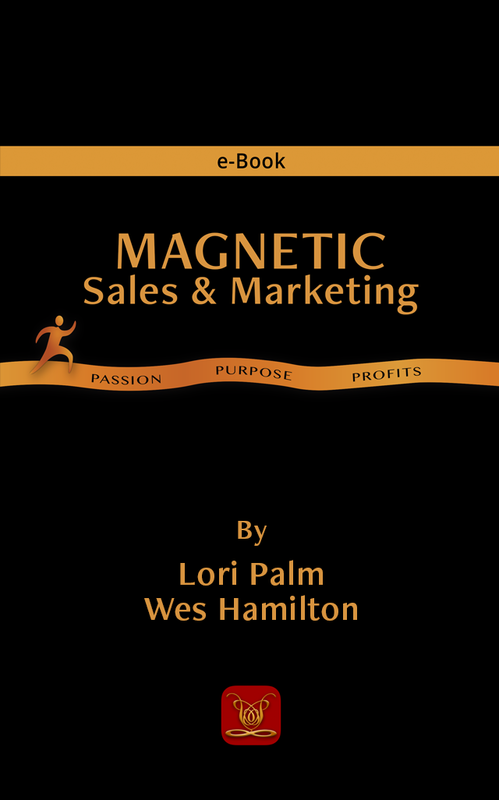 Core Passion® MAGNETIC Sales & Marketing is where you learn to communicate with magnetic energy with your clients and customers in “real world” selling. This will lead to profits and authentic sales success. Remember, when you know WHO you are, you know WHAT to do. If you are ready to apply passion to your life and business . . . it’s time to get started MAGNETIC Sales & Marketing. The Passion in Action journey begins with PASSION, continues with VISION and completes with ACTION. 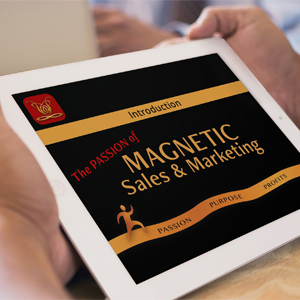 To learn more about registering for the e-learning course, MAGNETIC Sales and Marketing, click here.